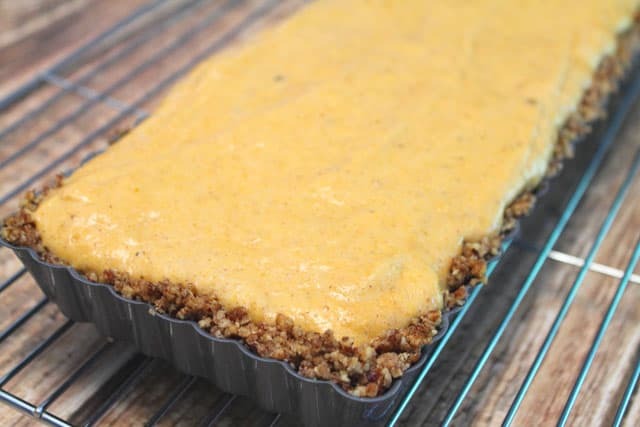 This Pumpkin Chiffon Tart is a lighter version of the traditional Pumpkin Pie. 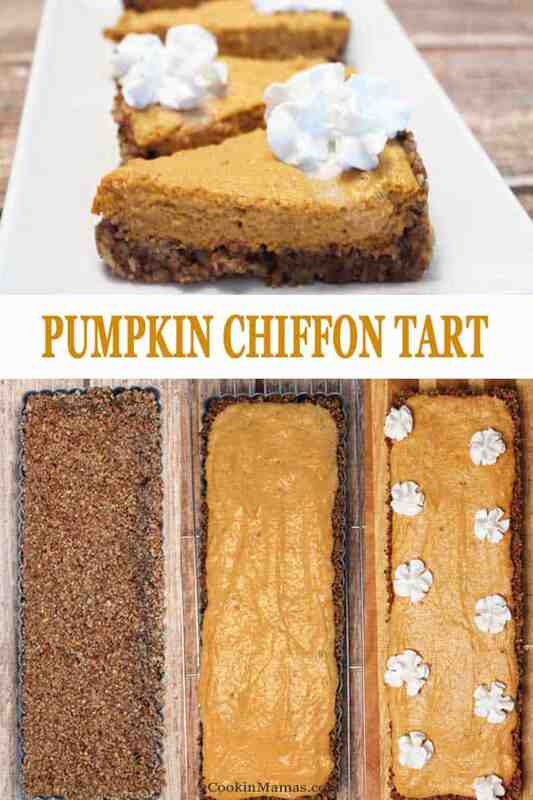 It’s the perfect dessert to end a big holiday feast whether it is Thanksgiving or Christmas. It’s a great dessert for our gluten-free friends too! Serve topped with cinnamon whipped cream or, go for it, with a scoop of vanilla ice cream. I am so excited that the holiday season is finally here! I consider once Halloween is over the Thanksgiving-Christmas celebration can begin in earnest. It is also my favorite time of year and this year my daughter is coming into town for Thanksgiving which gives me even more reason to love the season. 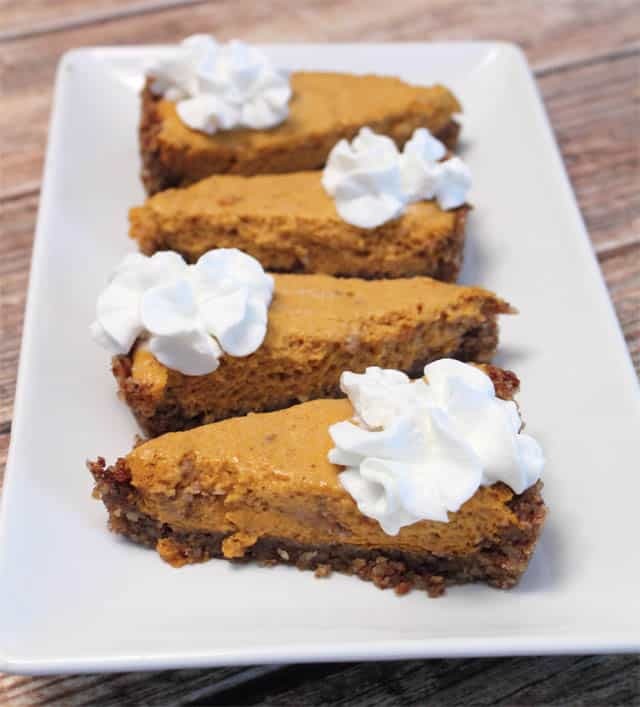 Light & airy with pumpkin flavor, perfect for a holiday dessert! If you read our blog regularly you will know that my daughter is gluten-free so I had to start to put together a menu for the big day that everyone could eat and enjoy. 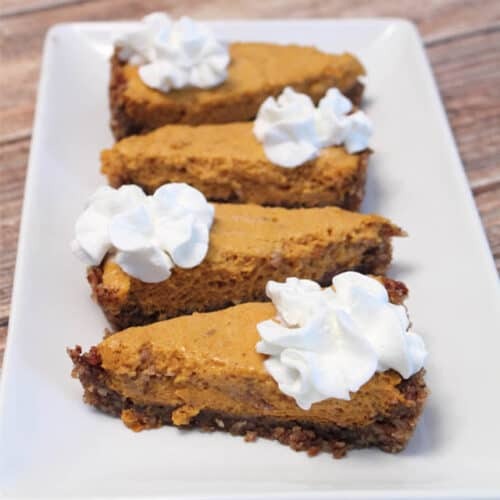 Today’s recipe is a lightened up, gluten-free version of one of our family’s favorite treats, Pumpkin Pie. I made this lighter version so that, even after the big meal, everyone could still squeeze in a piece of dessert. It has all the same delicious flavors we all love just in a slightly different package. I mean, just look at that beautiful pumpkin after the beaten egg whites have been added. Doesn’t that just make you want to take a bite? All the cooking is done before it goes into the crust so no extra baking is necessary. 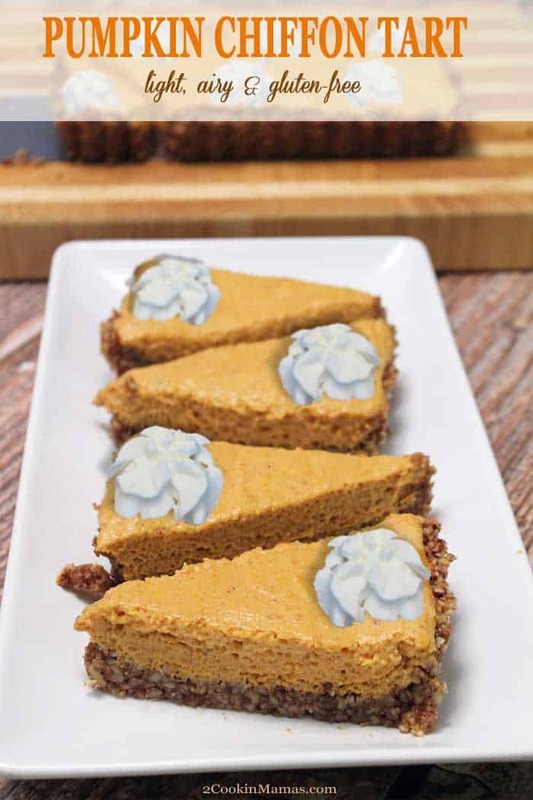 And speaking of the crust, just look at that crunchy goodness under all that pumpkin chiffon! 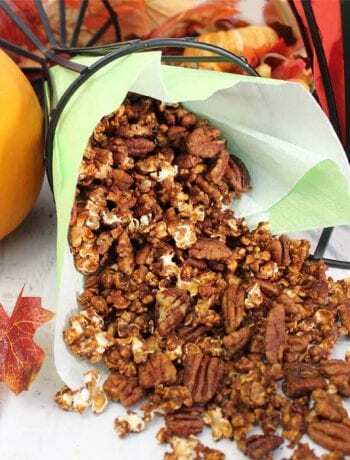 I made mine out of pecans but almost any nut can be used. I bought a new tart pan, that I had been dying to get, just for this recipe and wished I’d had it a few weeks ago when I made my Chocolate Cherry Tart for Choctoberfest. It worked out just perfect although I did have extra pumpkin chiffon left over so I just added it to another dish and ate it like a pudding. 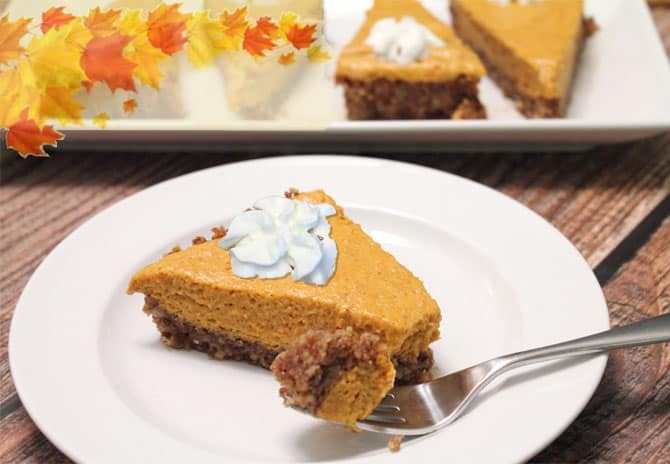 You could also use the pumpkin mixture in a trifle and layer it with cinnamon whipped cream and crushed ginger snaps. Wow! Two desserts instead of one! Just before you are ready to serve, make the whipped cream. I like to cut the tart into regular pie-shaped pieces so I just calculate where the cuts will be and place a dollop of whipped cream on each piece. Doesn’t that look scrumptious?! Your guests will thank you for the lighter than air dessert but, watch out, they may come back for seconds! Enjoy! 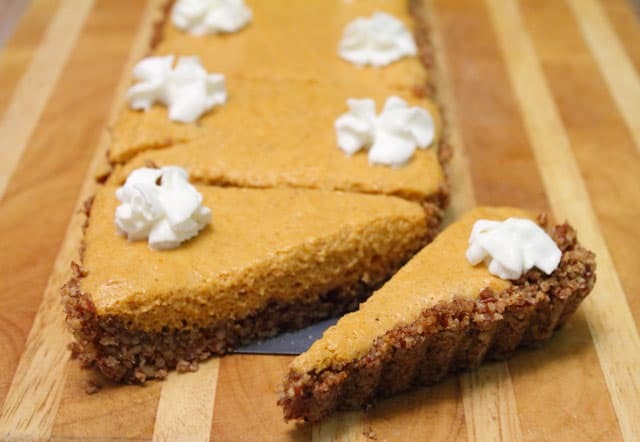 A lighter version of the traditional pumpkin pie, this pumpkin chiffon tart is perfect ending for the Thanksgiving or Christmas dinner. And it's gluten-free too! In a medium bowl, mix together pecans, cinnamon and sugar. Melt butter and add to pecan mixture. Once all has been incorporated, pour into pie/tart pan and press into sides and bottom. Refrigerate for one hour. Bake crust for 10-15 minutes. Remove and let cool on wire rack for at least 30 minutes. Now it's ready to fill! Place orange juice or apple cider in a small bowl. Sprinkle gelatin over top and let sit. 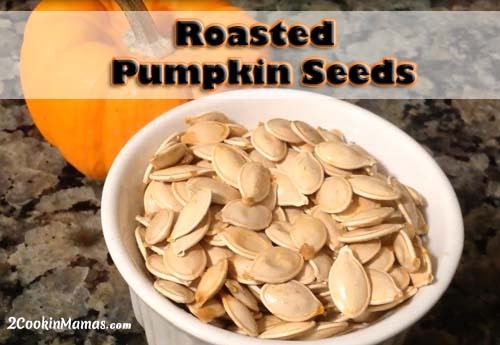 In a medium saucepan, whisk pumpkin, milk, light brown sugar, egg yolks and spices, over medium heat. Cook, stirring constantly, for about 9 minutes or just until mixture starts to steam. If you have a thermometer, cook until reaches 160 degrees. Remove from heat and add in gelatin mixture and stir until dissolved. Pour into a large bowl and let cool for 15 minutes. In an electric mixer, whisk egg whites on high speed until medium peaks form. Add sugar slowly and continue to beat until stiff peaks form. 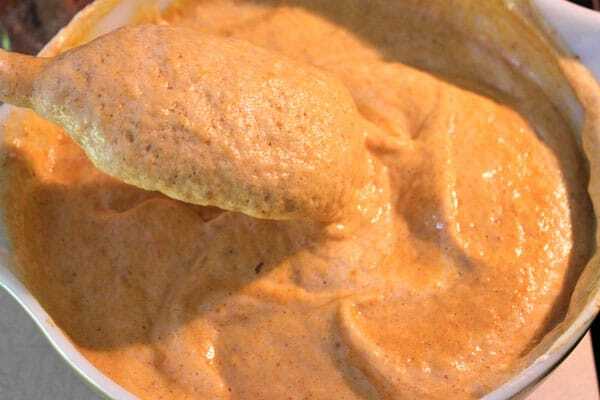 Fold half of egg whites into pumpkin mixture, stirring to combine. Add remaining egg whites and carefully fold in until no white streaks remain. Place bowl and beaters in freezer for about 10 minutes. Pour cream into bowl and start mixer. Slowly add remaining ingredients and beat until stiff peaks form. Pour chiffon into cooled pie crust and level off top. Note: Not all filling will fit into tart pan as it depends on the size of your pan. I had extra, so I filled two smaller dishes to have for a trifle or to eat "as is". Place in refrigerator and let set overnight. When ready to serve, lift out of tart pan and decorate with cinnamon whipped cream or prepared whipped cream in a can. *Do not decorate with whipped cream until ready to serve. You can also make this in a springform pan. If using this type of pan, all the filling will fit. Thanksgiving is all about family, friends and delicious food. Luckily, the food blogging community is all about these things as well. To celebrate the holiday, Meghan from Cake ‘n Knife and Susannah from Feast + West are hosting Blogsgiving Dinner. 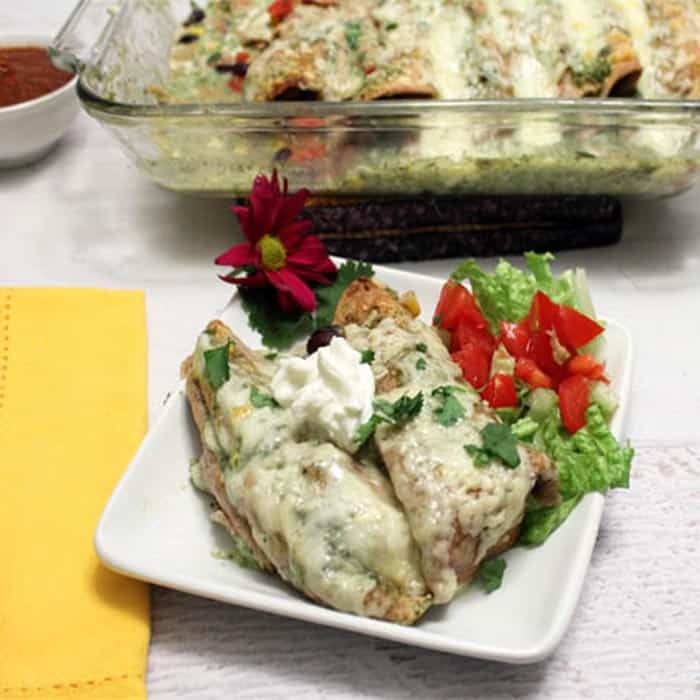 There are more than 60 blogs sharing recipes this week!